INSPIRED BY THE TRIVIAL PURSUITS OF LIFETIME LOCAL AND PEST, JB. JB & Sons first opened up for business in early 2015 in Freshwater. A tiny shop and even tinier kitchen meant that we could focus one one thing and one thing only - burgers! 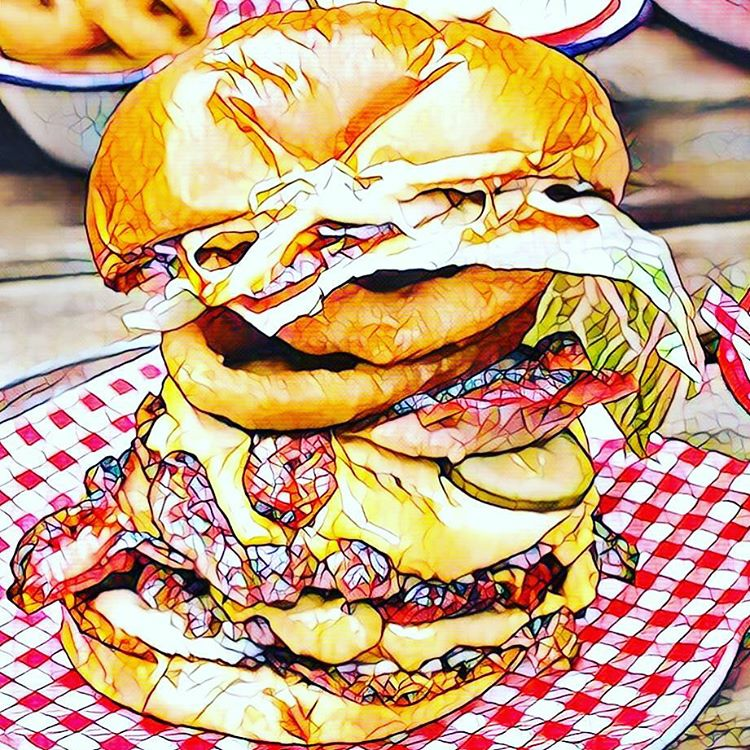 We serve up American style burgers and delicious sides to our happy locals, families, sports fiends, burger heads and whoever we can rope in 7 days a week. In late 2016 JB & Sons expanded a couple of beaches north to Dee Why into significantly less tiny digs. Here we offer all the favourites from Freshy plus a few new tricks including a whole lot more seats, a pool table and extended trading hours. We pour craft beer, shake margaritas, fry chicken, blend shakes and crack open whatever wines we're liking at the moment to go along with your burger. We are both family-friendly with high chairs and a kids menu and date-night-friendly with low lights and heaps of tequila. Click the links below to order delivery or pick up and check out the What's On page for some sweet deals. We will do our best to accommodate you, but no special requests can be guaranteed. Cheers! We will get back to you with a confirmation and look forward to having you for booze & burgers soon. If your booking is within 2 hours please give us a call. Ask any of JB's mates and they'll be sure to tell you he is a notorious round-skipping tight-arse. In that glorious spirit, we are happy to offer some great deals right through the week. Please note all deals are for dine-in only and not available through Deliveroo or pick up. Deals are only offered if you purchase a beverage. Cheers! The deal that turned Tuesday into a Saturday. With any burger grab a piece of Nashville Fried Chicken for just $0.50. After a long hard week, if a beer, a piece of fried chicken and a burger won't fix your problems, we're afraid there's no hope for you. You've made it! Let's celebrate. All cocktails are $10 from 4pm. Grab the girls, grab the boys, grab a stranger, grab whoever and get down here for a margarita degustation. Might as well have one for the road? For no reason in particular, we thought you might like cheap beer on a Sunday. Choose from any of our delicious taps for a well earned beer. For all food orders and bookings please use the sections in the website.